It is true that there are a lot of different opinions out there, as to what the Deep Web and DarkNet are. Many people consider them to be the source of all evil – since this is where all illegal activities take place. Do you want to sell guns to gang members or drugs to the mob? 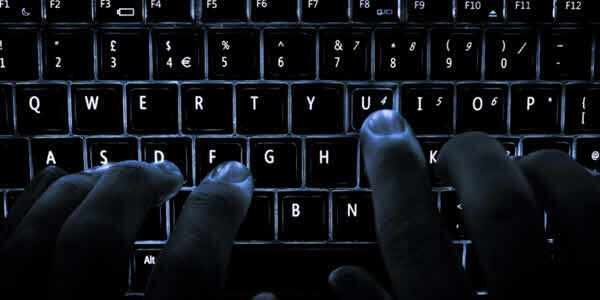 The Deep Web is your lucky break, without anyone being able to trace you online and hunt you down. Such rumors have been around for a long time, creating a myth as to the Deep Web and the DarkNet. There are others who are intrigued by such a mystery, desperately trying to find if the rumors are true and satisfy their curiosity. Especially those who do not enjoy great freedom online (having social media heavily censored and restricted, per se) turn to the Deep Web for help and a way out. They consider it the place where everything is free and uncensored, full of innumerable potentials. All these opinions are not farfetched. On the contrary, they represent a portion of what the Deep and Dark web actually are. More specifically, it is a matter of perspective. When you look at it from a different angle, the Deep Web includes every online environment that is not tracked by Google and other search engines. It is what lies in the shadows, offering shelter to activists and journalists, hackers and snoopers, as well as cyber criminals altogether. It is a place consisting of different scraps, a puzzle where everybody gets what they really want. It is entirely anonymous and; therefore, there is no way for prying eyes to get to the source of data here. The DarkNet is a private network, consisting of trusted IPs and maintaining its privacy at all times. You can only connect to the DarkNet from a list of trusted IPs. As you can understand, the DarkNet is even more secured than the Deep Web in its core. You got the idea of core offerings and difference between deep web and darknet/dark web, right? So, how can we access the Deep Web and DarkNet? Here are some of the methods you can use! The Onion Router (or simply TOR) is a privacy network, with several layers of protection offered to its users – just like an onion, you get that? The traffic from TOR is redirected to multiple exit nodes, and consequently, nobody can track you down or see what you are doing at a time. Also, there is the TOR hidden service that you can turn to for accessing the Deep Web. If you wish to visit such a place – a website or an app, you can do so pretty easily. However, it can only be done after having downloaded and installed the TOR software. Then, you check the site with the .onion ending, and you connect securely. If you are interested in downloading the TOR software, check here. Along with the use of TOR, some people who choose to connect to a VPN service provider first. In this scenario, you get full encryption throughout your connection. This is another layer of security, which can be proven exceptionally useful. The VPN instantly masks your actual IP address and helps you appear to be somewhere else in the world. Of course, there are much more benefits to the use of VPN. You get to unblock GEO-IP restricted content, avoid censorship and so on. When you use VPN, you might be doing so thinking that you are concealing your TOR activity. This is not a requirement. Still, if it keeps your mind at ease, go ahead! If you want to get your hands on a VPN to use with Tor, I’d recommend you to use IPVanish for a number of reasons but mainly because IPVanish have a NO LOGS policy. This is a MAJOR factor when choosing a VPN for use on the Dark Web. A LOT of VPN companies log your usage so you therefore, give up your anonymity. They are one of the most secure and anonymous VPN’s you can get. Get a 57% discount on IPVanish here. Some say that they are as good as TOR while others prefer The Onion Router for accessing the Deep Web. Whatever you think, do your research first and then go ahead with exploring the whole new world unveiling before your eyes!